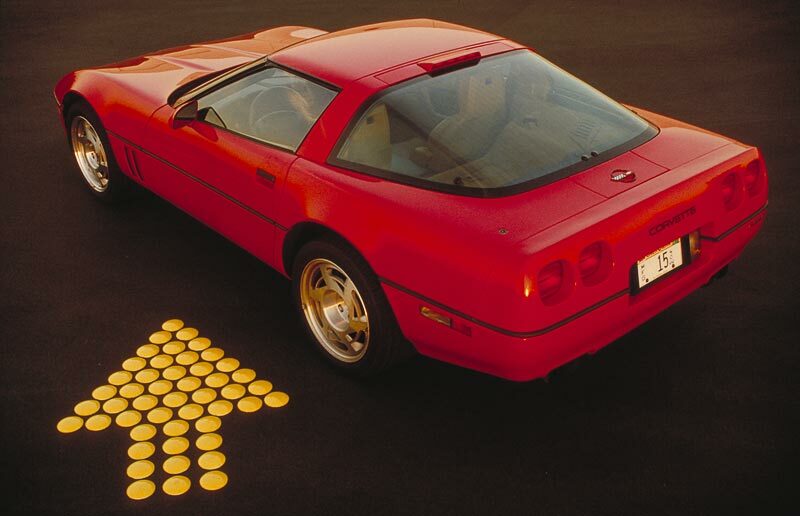 In the history of the automobile, few cars were anticipated as much as the Corvette ZR-1. The rumors had been circulating for almost three years before one was available for purchase. The hype was not Chevrolet's doing - car enthusiasts were eager for any and all scraps of information and the magazines did what they could. The ZR-1 ID on the option list was a tribute to the special ZR1 high performance package available for 1970 - '72 Corvettes which was shorthand for "Zora's Racers". This was a serious racing package costing approximately $1,000 and featured the much admired LT1 engine. "King of the Hill" was an internal and supposedly unofficial working title around GM for the ZR-1 project. 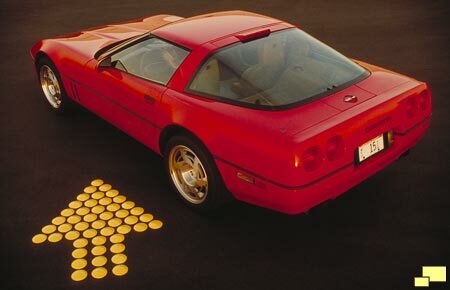 The moniker stuck with Corvette fans and according to rumors, could be found on some low level GM documentation. As the 1980s were turning into the 1990s, a new batch of high performance cars were coming from Japan and Europe. Corvette Chief Engineer Dave McLellan knew that a special Corvette would be required to properly respond to the challenge. 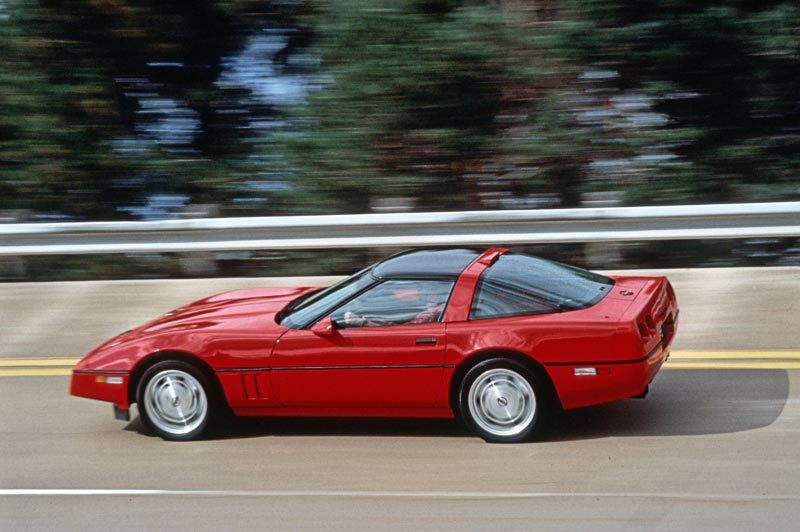 The adversaries had multiple overhead camshafts and four valves per cylinder, while all Corvettes before 1990 worked with a single camshaft deep in the engine block and two valves per cylinder. Work on a new super Corvette started after the introduction of the C4, in the form of turbochaged V6 and V8 engines. These configurations did not work out and the decision was made to go with a double overhead cam naturally aspirated engine. 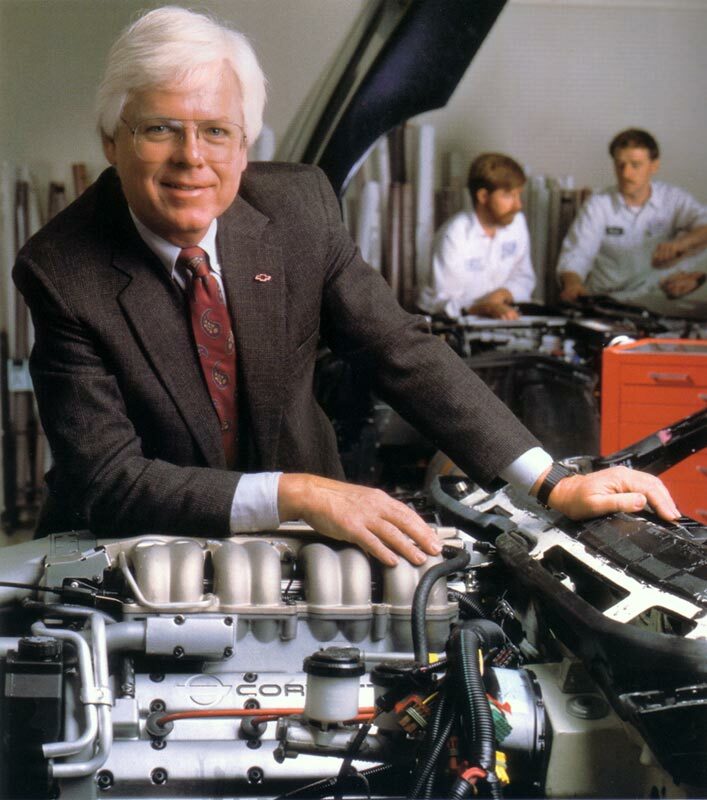 Right: Dave McLellan poses with a ZR-1 LT-5 motor. Dave was the Corvette Chief Engineer and was responsible for the giant leap in technology that was part of the C4 introduction. 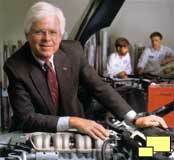 He was also the protagonist for the ZR-1. His definition of the ZR-1, as quoted in the brochure, summed it up nicely. "ZR-1 is Corvette, only more so". "I don't see the Corvette ZR-1 as exotic. I see it as much more. Corvette is identifiable and recognized on the road. Exotic is strange scoops and wings, like the Countach. Exotic is making 300 cars a year and selling them for outrageous prices. That's not Corvette. This car certainly delivers the elements of high performance driving -- all those things that exotic cars do for their owners -- at a much more affordable level. In a way, the Corvette ZR-1 is the ultimate expression of the Chevrolet mission statement, which is to "give more than expected". But instead of a $10,000 car you're talking about a $50,000 car that's giving you the attributes of a $60,000 to $300,000 car. You're going to find it's a higher performance car than any of the production-available Ferraris, including the Testarossa. It has higher performance than the Countach, as federalized. Ranking up there with the [Porsche] 959. Surely not at the level of the F40, which is just a thinly disguised race car. The Corvette is a civil automobile. It doesn't remind you every minute that you are driving a race car. But it also has this other dimension that is instantly waiting for you."